Post Office Closings in Texas. The recent news of some 3,600 post office closing nationwide included a list of nearly 200 potential closings in Texas. It’s a cost-cutting measure and there can be little doubt that the U.S. Postal Service is feeling a big three-way pinch from e-mail, UPS and Federal Express, not to mention the millions of people using other technology to communicate. I’m not sure what it was that happened in 1906 but it was drastic enough that they closed hundreds of post offices in Texas. It was too late for fallout from the famous “Panic of ’93” – and it evidently wasn’t drastic enough to have its own name inscribed in history books. Was the “Anxiety of ‘06” even considered? This recently restored map is frequently employed in the search for ghost towns, for that’s what many of these towns became after the quadruple whammy of WWI, the Great Depression, school consolidations and the postwar exodus in search of better- paying jobs. But the post office map was just that – a map for showing post offices. Many of the towns that failed to appear on the 1907 map survived and made it to the (vastly more popular) highway maps that were still a few years off (all the publishers were waiting for were highways to be built). To people familiar with the names on the list that follows, it may read like the table of contents for a ghost town book. Some communities have been declared such for years. These are towns like Doole, Langtry, Mentone, Panna Maria, Pontotoc, Pyote and even Texas Escapes’ mascot ghost town of Toyah. The list (as of late July 2011) isn’t firm, but things don’t look good for these communities. 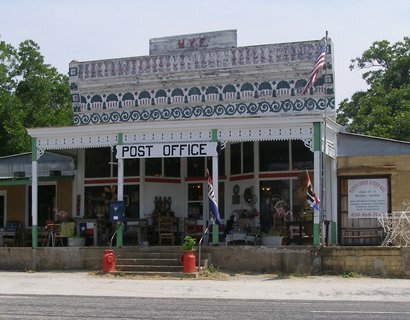 In many cases, the post offices are the only building in town, although in three cases (Lipscomb, Mentone and Sarita) the closures are in county seats. 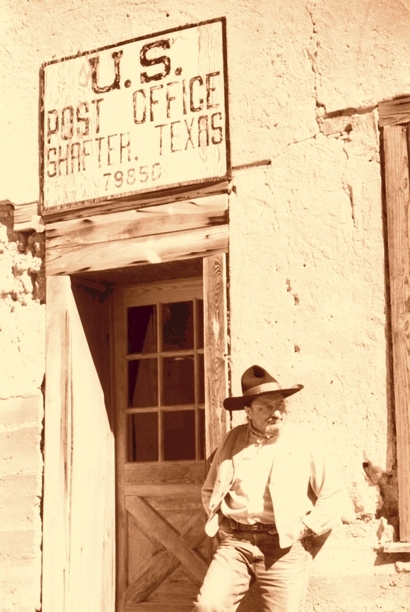 Valentine, Texas, where the post office has done a brisk business every February sending out its postmark to lovers around the world, may have to end that long tradition. Mentone, famous for having the least of everything in Texas may now have even less. The post offices of Hye and Hackberry are quaint reminders of a period before architectural standardization of these once-essential buildings. 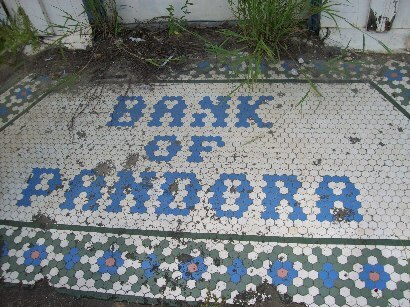 None of the smaller post offices on the list contain murals from the 30s, but the list also includes some big city closures of neighborhood stations. One of those is the behemoth downtown post office in San Antonio, which has one of the most elaborate historic murals in Texas. 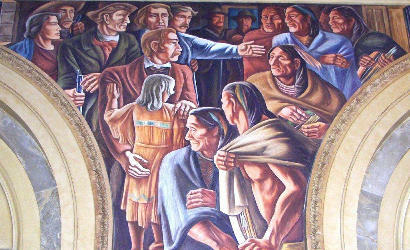 Take a look at the list and see how many communities you recognize. There’s nothing to get excited about, unless you happen to live in one of them. Even then, you might get cold comfort in knowing that it may just be a matter of time before all the post offices go the way of fix-it shops, TV repair stores and video rental stores. Ask someone under 30 when was the last time they went to a post office – or ask someone under 20 if they have ever been in a post office. A: Allison, Adrian, Altair, Aquilla, Austwell, Art. C: Caddo, Calliham, Camden, Campbellton, Castell, Centralia, Chriesman, Christine, Collegeport, Concepcion, Concord, Cotton Center, Coyanosa, Cunningham, Cuney. D: Dallardsville, Danciger, Danevang, Davilla, Deanville, Delmita, Desdemona, Dodson, Donie, Doole, Doss, Dougherty. O: Oilton, Oklaunion, Old Glory, Orla, Ovalo. R: Realitos, Ringgold, Rochester, Rock Island, Rockwood, Roosevelt, Rosston. S: Sacul, Saliñeno, Sanford, San Perlita, Santa Elena, Saragosa, Sarita, Satin, South Plains, Sheffield, Selman City, Sidney, Slidell, Socorro, South Bend, Spade, Staples, Star, Sulphur Bluff, Sylvester. T: Talpa, Tarzan, Thicket, Tehuacana, Tennyson, Thomaston, Toyah, Tuleta. W: Water Valley, Weesatche, Welch, Wellman, Westhoff, Westbrook, Whitt, Whitharral, Whitsett, Wiergate, Willow City, Windom, Winert, Woodlake. More "15 Minutes of Separation"